Internet Speed test! This is the test to measure your Cable or DSL Broadband Internet speed, so that you can check what’s the actual Internet speed and performance (sometimes people also calls it DSL speed test or broadband speed test). This can also be a way to evaluate the Internet service quality provided by your ISP. So how does this speed test work? The working mechanism is simple, you can just connect your computer to one of the available broadband speed test servers, and then the server will measure the download and upload rate of your Internet connection in order to give you better understanding of your Cable, DSL or other Internet connections. Sometimes the ping delay will be measured as well on some speed test websites. For getting more accurate results, you should turn off all other network applications (online gaming, audio/video streaming, p2p application, etc), so that no other network activities generated by those network applications can affect the result of your speed test. 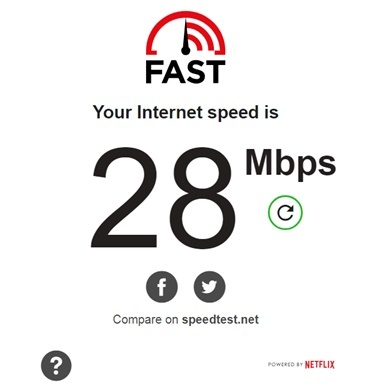 Here are some of the free Internet speed test websites that I use frequently, and you should try all of them to get a better picture of your Internet performance. As an example, you can just test the Internet speed by selecting New York server on each testing website, so that you can compare the results you got from each testing website. This Internet speed test website is very popular! It's easy to use! 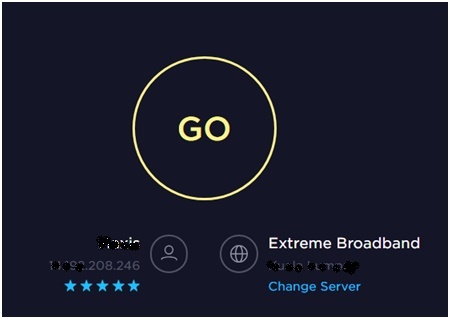 Just need you to go to this speedtest.net and click on GO to kick off the test. It also gives you the option to change the city and server before performing the test. If you like, you can also download its app on iOS or Android to perform similar test. 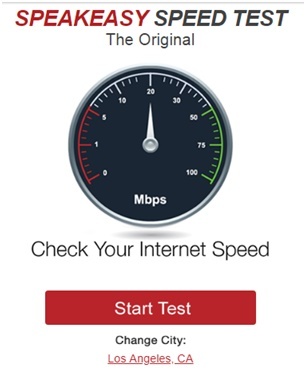 Just go ahead to click on Start Test on this Speakeasy website to start your Internet speed test! You have the option to change the city for the test too! Just click on one of the connection types (Gigabit/Fiber, Cable, DSL, Satellite, WISP, etc.) on this dslreport.com website and start your speed test! This FAST website is fast and simple! Immediately it will proceed with Internet speed test once you have loaded its webpage. However it measures and estimates your current internet download speed only as it's the most relevant for people who are consuming content on the internet. Return to top of "Internet Speed Test How to"! !